GAFCo is enabling smallholder farmers to increase their incomes, improve their quality of life, and give hope to their children. We are also tacking the tough problems of pro-poor market development. Key enabling success factors are being identified, designed and tested. Crop insurance is one of those factors that has emerged as a significant challenge and is an issue GAFCo is resolved to solve. “My children want to go to school but I haven’t managed a way to pay for all their tuition,” says Maria Tengo, who is 48 and has been farming her entire life. “That’s my main issue. I didn’t have much of an education so that is what I want for them, to give them a better life.” Just a few months ago, by farming as a business with GAFCo, she finally feels she has a breakthrough in mastering her financial situation. 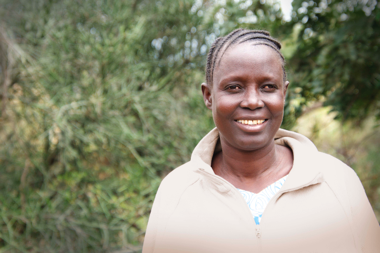 GAFCo enables smallholder farmers like Maria to turn their farming activities into viable businesses. Farmers are provided with fixed-price contracts, financing, insurance, training in best practices and improved quality inputs (including hybrid seeds). This is all made possible due to GAFCo’s established value chain network connected to high-value European markets. Once they achieve volume, GAFCo gives farmers access to equipment to mechanize many of their traditional manual processes and provides them with business resources that have previously been unavailable, such as multi-peril crop insurance. GAFCo has made certain that Maria’s incident has been reported to the insurer. According to her policy she should be eligible for a claim payout based on 25% of yield impacted by the excessive rains. However, a major learning arising from our experience with the insurers over the past four cropping seasons is that collection of claims is extremely challenging and delays, or less than expected payouts, damage farmer trust. Without trust business relationships including contract farming collapse. Farmers drop out of the program or otherwise disrespect the contract. Side selling and other destructive business behaviors become justified in their mind. The “social license to operate” breaks and trust must be rebuilt for long-term successful smallholder business relationships to thrive. Challenges such as these are common. Solving these problems is what GAFCo does best and must do to establish a firm foundation upon which formalized pro-poor markets can be built. Due to the colossal failure of the more traditional multi-peril insurance products introduced to the smallholders, GAFCo is now exploring the creation of a “mutual benefit fund” that will be backed by catastrophe and default insurance. This will be the subject of an AMDT/GAFCo “learning case” in the future as we gain more clarity around what is covered or not, pricing against risk level and ability to execute a rapid and transparent claims payment. It’s an example of GAFCo’s commitment to continuous improvement of business tools, agricultural equipment, end-markets, and training required to transform the lives and hopes of smallholder farmers. Not only do we provide them a helping hand to problem-solve everyday challenges, but we address the systemic market issues required for them to achieve the dreams of their next generation.